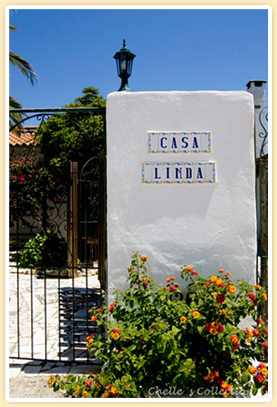 Casa Linda has been offering accommodation to surfers for over 20 years with many people returning time after time. We have a studio apartment, 4 berth surf shack in the grounds with their own patios and sharing a beautiful garden, swimming pool and large barbeque area. Owner and resident Gill is always happy to help you get the most from your trip. Casa Linda is part of a small urbanisation in the South West Vicentina National Park. This is a great place to bring your family, as well as enjoying 300 days of sunshine a year the Algarve offers a large range of activities such as hiking, birdwatching and horse riding not to mention laying by the pool and enjoying the beaches. There are also several bars and restaurants close to hand and clubbing half an hour away in Lagos. Very comfortable fully self contained accommodation offered year round (discounts for long term winter stays). Local knowledge, tide charts etc. * Free WiFi internet * Up to date swell forecasts. * Very competitive rates. * Easy board storage. * Surfboard & Wetsuit Hire can be obtained from Peer at info@algarve-adventure.com There is a 10% discount for those who are staying at Casa Linda * Pool, lush gardens, large bbq area. * Clothes washing service. * English, Spanish and Portuguese spoken. Casa Linda now on Facebook! Join other fans of Casa Linda. Post reviews, comments and share photos of your fun times and best waves. we have restructured the Casa Linda website. Hope you will enjoy.